Introducing Reem and Natalya Kanj, owners of Five Five Fabulous and columnists for Grazia Daily. From London to Dubai the Kanj sisters reveal their inevitable passion for fashion. Read more about Five Five Fabulous here. Being Fabulous is not as easy as it looks; but the Kanj sisters have certainly found the right recipe. Mixing their sweet taste for the perfect designer handbag and their hunger to discover the world, Five Five Fabulous is a blend of the highlights and challenges that the two shopaholics get to experience on a daily basis. Be careful, following the Five Five Fabulous editors daily lifestyle insights on Twitter can result into an urge of booking a flight to the sun. You’ve been warned! Inspiring others is not easy, running a marathon isn’t either; Reem managed to do both at once. Visit http://www.fivefivefabulous.com/projects/five-five-fabulous-x-nike/ to see how. We’re not going to lie, all the amazing projects R & N managed to get involved in, from building shoes from scratch to touring with music legend, Rihanna, made us more than a little envious. That said, at LoveSales something different caught our eye. Our personal favourite FFF piece is the Five Five Fabulous x Nike project. In collaboration with Nike, Reem conquered a big one; Running the San Francisco woman’s half marathon in style. We all know how getting in shape and pushing ourselves through a finish line can be hard. With a combination of social channel posts and the Five Five Fabulous blog, Reem documented her journey. Encouraging thoughts and the ‘kick in the bum’ we all need to go for a run are to be expected. Or at least give us reason to look the part and shop for new sports gear, right? 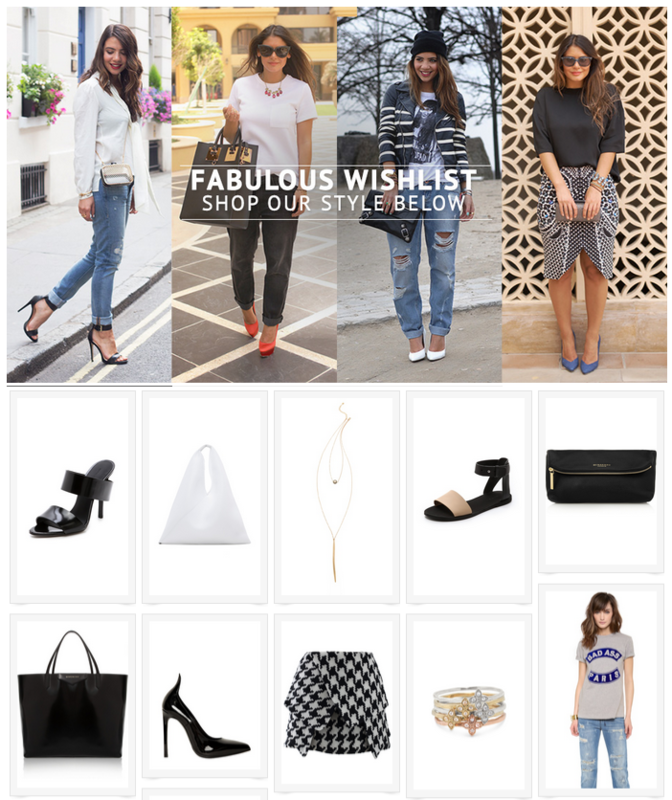 Directly on their blog you can shop the KANJ look. From Reem’s favourite leather handbags to Natalya’s top Little Black Dress, you are able to go through all their hottest picks in one place. Loving the Five Five Fabulous style? So do we! Sign up with www.lovesales.com, get our browser button and add your favourite #FFF items to your personal wishlist. We will let you know when they go on sale or even when they have a price drop. Shopping made EASY. For more LoveSales Fashionistas of the week, join us on any of our social channels and we will ‘Halla’ at you when we have giveaways, new interesting blog post or just when we want to have a chat. Check out our Pinterest or Intsagram account and have a close up on the LoveSales style and see what we are all about. Want to be Fabulous? Follow the Kanj Sisters on Reem & Natalya’s Instagram or Pinterest page and get all the gossip on how to be part of the #FFF trend. This entry was posted in Fashionista of the Week and tagged Blogger, fashion, Fashionista, Five Five Fabulous, LoveSales, sales, Shopping on May 13, 2014 by Charlotte Williams.